With working 10 hours a day and babysitting the grandbabies at night, I haven’t had much time to get any new projects done so I thought I would share with you some things I completed last year. I started the year finishing a UFO which was a quilt for my son. 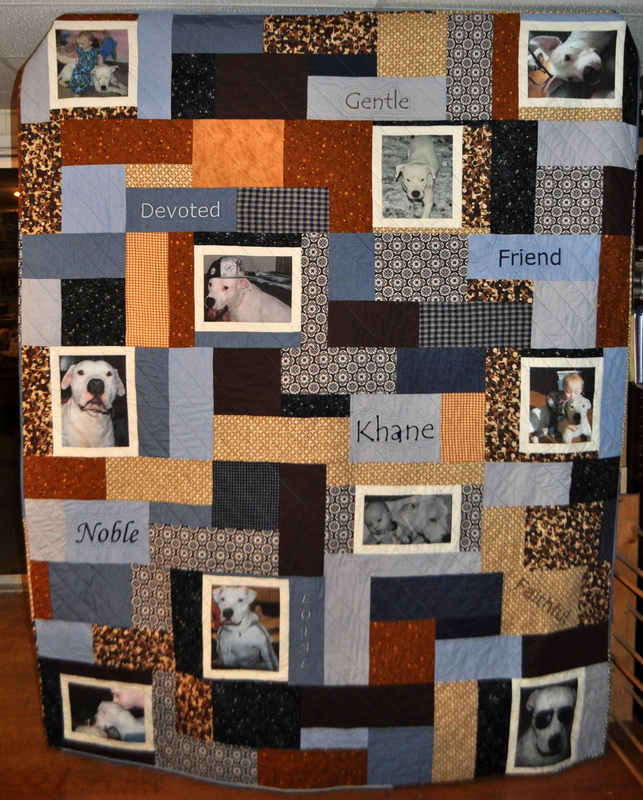 He had a wonderful sweet white Pit Bull named Khane that had died about 6 months previously, so I made my son a photo quilt to remember him by. 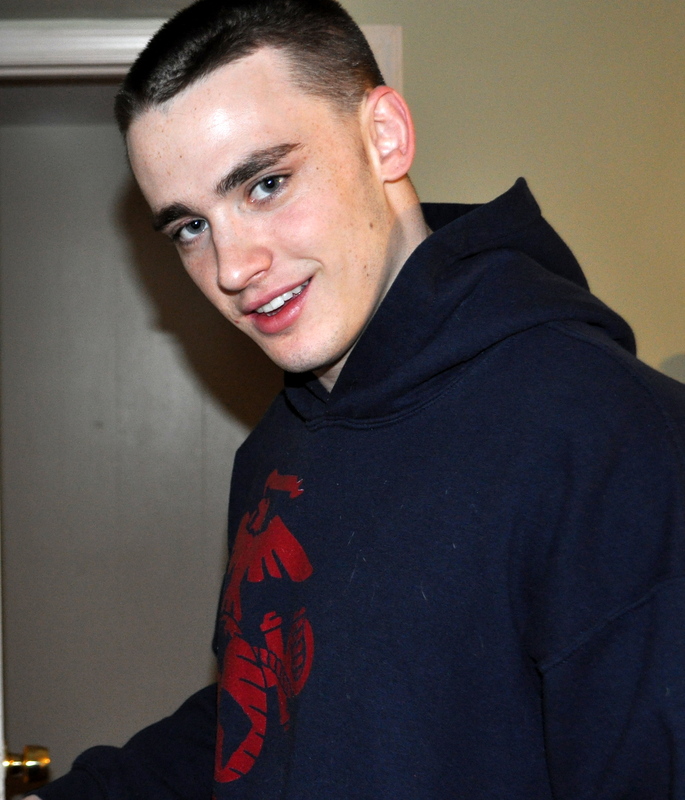 I had only known his dog for about a year, but when he died, I also cried like I had lost a family member. Between me, my son, and his girlfriend, my husband said he felt like he was at a funeral home. Khane was the best dog and I would have another one like him in a heartbeat. Anyway, I picked out 10 pictures that really showed his personality, designed a easy blocky pattern, picked out some masculine fabrics, and made a memory quilt in his honor. The pictures were printed onto colorfast fabric sheets so hopefully they will last for a while. My son loved it! Not exactly sure what I did after that. My photograph library is pretty slim up until summer. It might have something to do with working 50-60 hours weeks. I hope to do better than that this year. So fast forward to summer. I was still working 50-60 hour weeks but decided that I needed several simple things to sew. 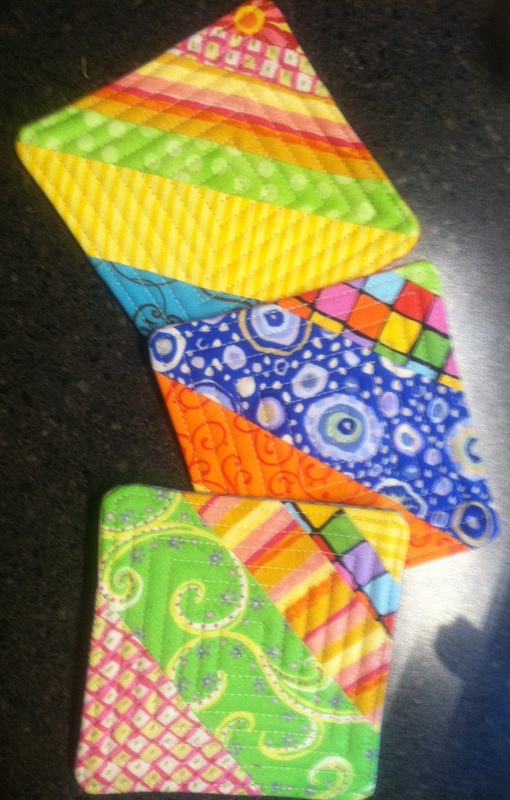 All of our sandstone coasters were broken, so I decided to make some scrappy fabric coasters. I just love these coasters. They are colorful, they were quick to make, and they work wonderfully. I even took one to work to use on my desk there. Up next, I made a laundry bag for my son’s girlfriend. 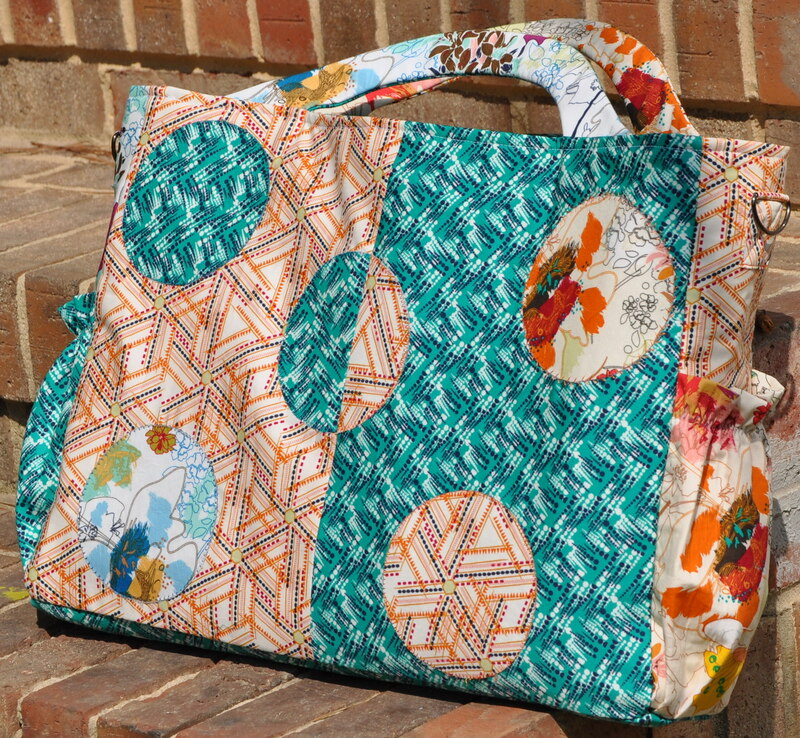 She was headed off to college at East Carolina, and every college student needs a big, sturdy bag to carry home all their dirty laundry. I found some ECU fabric and matched it with some solids. I lined the inside with duck cloth to make it stronger. The original pattern came from the InStitches book by Amy Butler, although I did make a few changes as I went along. 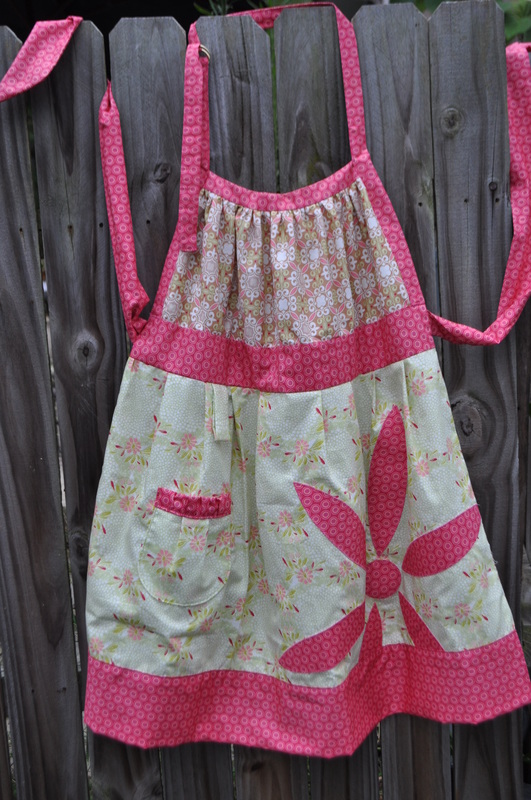 To round out the end of summer, I made an apron for the monthly challenge with Art Gallery Fabrics. This was the first monthly challenge I participated in and I won! I was thrilled!!! Honestly, I would have participated in all of the monthly challenges, but I had just found them while searching the internet one evening. 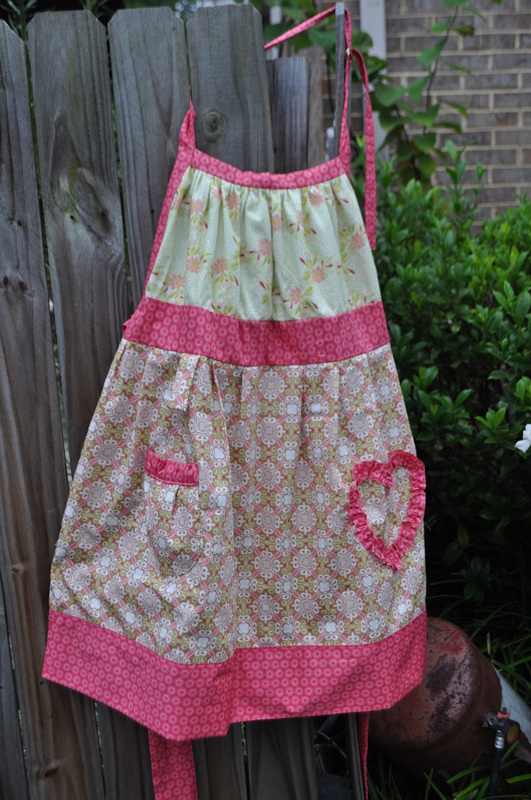 The apron is my original design, it is reversible, and turned out so cute! I love the Art Gallery fabrics — they are so soft and so easy to work with. I am currently about half-way done getting this written up into a pattern. 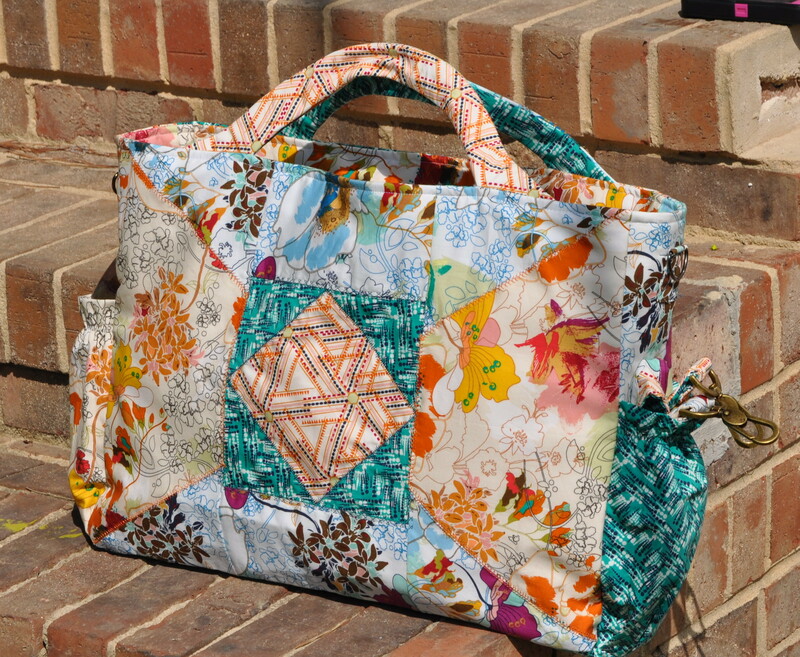 The next project was also for an Art Gallery Fabrics monthly challenge. The challenge was to make a computer bag and it had to have an insert pocket. 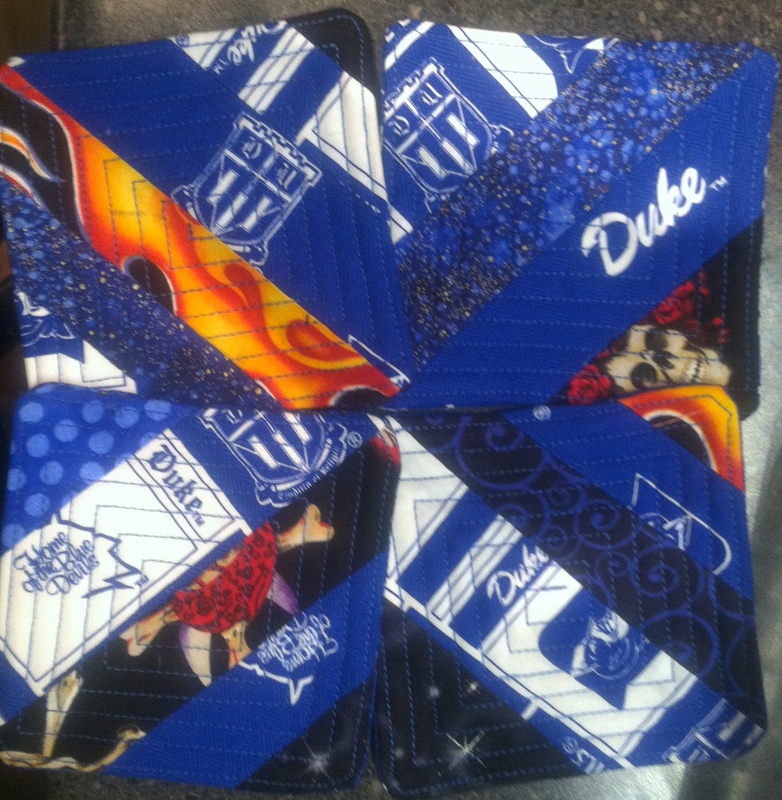 Well, I really wanted to make an iPad cover, so I ended up making both in matching fabrics. 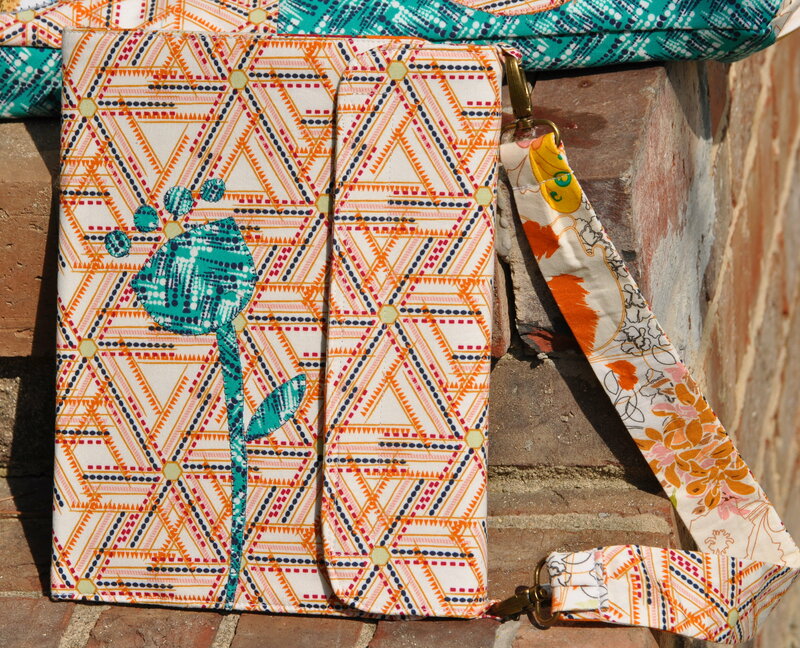 This was made with their Indie line of fabrics. These are also original designs. I hope to get them written up into patterns this year also. Guess I’ll close for tonight. Until next time, may you have blissful dreams. This entry was posted in Quilting/Sewing and tagged apron, bag, coasters, computer, cover, dog, ipad, laundry, memory, pet, photo quilt, pink, pit bull, quilt, quilting, reversible, sewing, white by monkeyneedle. Bookmark the permalink. You certainly did get a lot accomplished with the working hours you are keeping…I love your computer bag and can’t wait for the pattern!!!! I love the Khane memory quilt too! I’m sure your son will treasure it forever! I so wish I had more time to spend towards creative things, but unfortunately my family likes to have food on the table and a roof over their heads. Go figure. So glad you liked the computer bag. I’ll get the pattern up as soon as I can. Thanks for the comment.